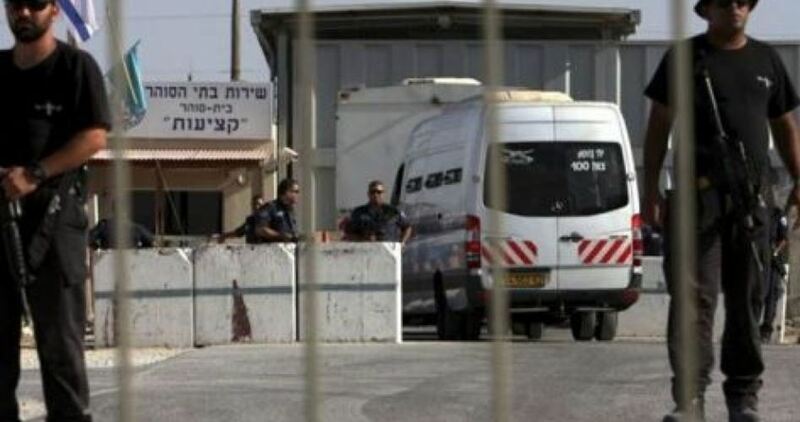 The Palestinian prisoners in the Israeli Ramleh prison clinic are facing difficult circumstances aggravating their health conditions, according to the Palestinian prisoners society. The society's lawyer said after a visit to Ramleh prison on Sunday that the prison administration keeps procrastinating about transferring sick and injured prisons to civil hospitals for medical examinations, reviews, and surgeries. He added that, in addition to their bad health conditions, the Palestinian prisoners are suffering from several harassment policies like blocking Palestine and Ma'an TV Channels. The two Channels constitute a link between the prisoners and their families, and an important source of local news. Moreover, they complain about the lack of space in the prison yard, the restrictions put on the clothes received, the unavailability of so many things in the canteen, and the bad food provided. 19 Palestinian prisoners are held in Ramleh prison clinic, and their health conditions are of the worst in the Israeli jails, the youngest of whom is the 14-year-old wounded minor Osama Zidat. The Israeli prison service (IPS) transferred prisoner Ammar al-Hamor, who started his hunger strike two weeks ago, to Ashkelon prison on Sunday as part of punitive measures against him since he started his hunger strike. 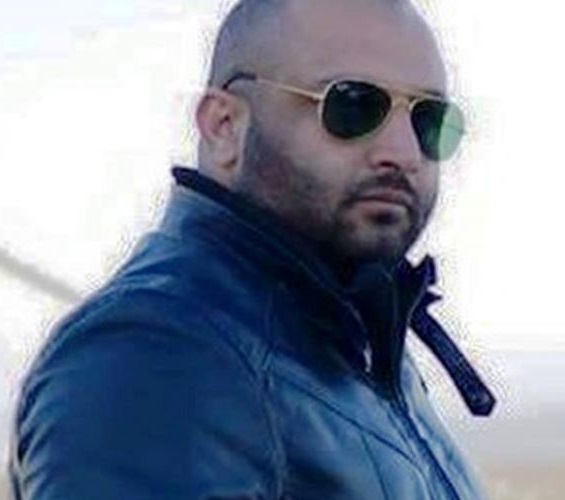 The Palestinian Prisoners Society pointed out in a statement that the IPS transferred Ammar al-Hamor, 28, from Negev prison to Ashkelon prison. 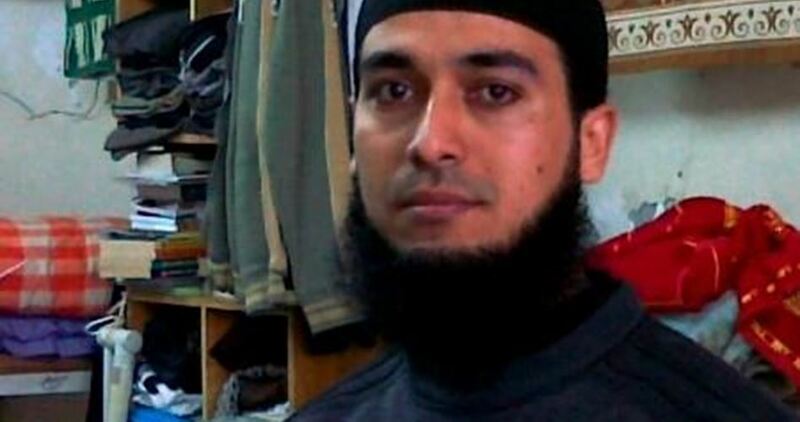 Al-Hamor family told the PIC reporter that there are no new updates regarding his situation, adding that he has been on a hunger strike for 15 days and today he was transferred to Ashkelon prison. The family expressed concerns over his health condition since he suffers from hypertension. Al-Hamor is from Jaba' village, south of Jenin, and he has been in administrative detention since last February. Israeli forces on Sunday at dawn opened fire at Palestinian fishing boats off the coast of the Gaza Strip, according to witnesses. 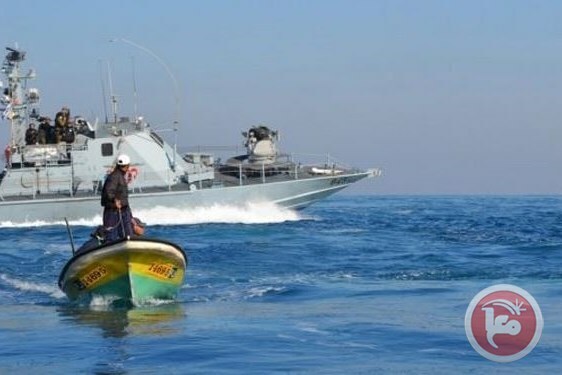 Witnesses told Ma'an that Israeli naval forces opened fire at the fishing boats while at sea in both the northern and southern Gaza Strip. Shortly after the fisherman were shot at, Israeli naval forces detained two fishermen and confiscated their boats off the cost of Beit Lahiya in the northern Gaza Strip, according to the head of the fishermen's union Nizar Ayyash. Ayyash told Ma’an that Israeli naval forces detained brothers Sahfiq and Saadi, confiscated their fishing boats boats and took the boats to Israel's Ashdod port. 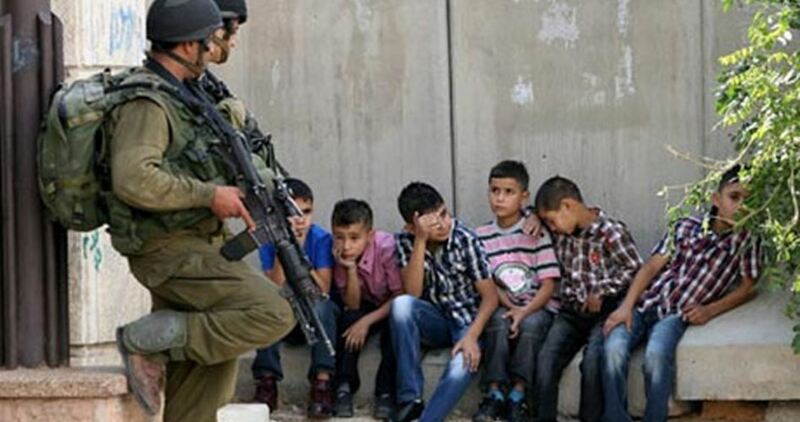 The Israeli occupation forces (IOF) at dawn Sunday kidnapped three Palestinians from West Bank provinces. The occupation army claimed, in a statement, responsibility for the abduction of three Palestinians on account of their involvement in anti-occupation activism. 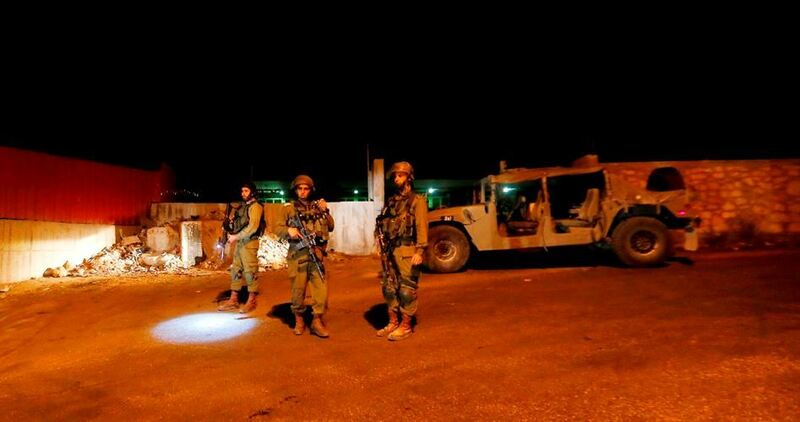 The IOF stormed Al-Mazraa al-Qibliyeh in the West Bank province of Ramallah and kidnapped the two 18-year-old ex-prisoners Moomen Shreitah and Ali Bayoudh after they wreaked havoc on their civilian homes. 19-year-old youngster Fathi Mahfoudh was also kidnapped by the occupation soldiers from his own family home in al-Arroub refugee camp, to the north of al-Khalil. 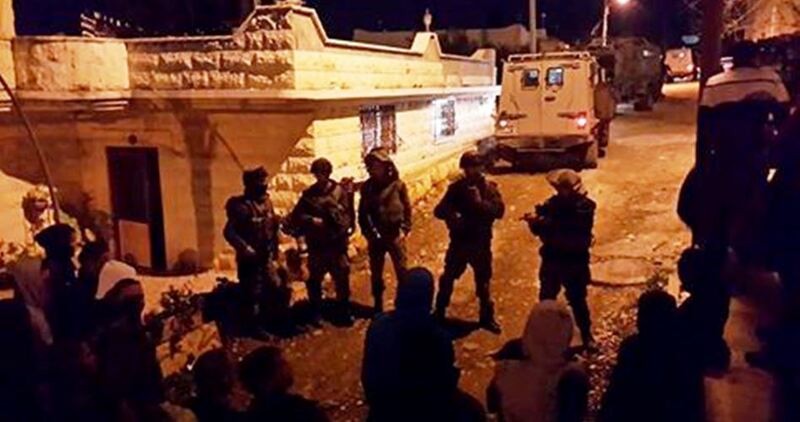 At the same time, the IOF broke into Nablus’s southern village of Burin and rummaged into civilian homes. The IOF took snapshots of Palestinian historical sites in the area, in what locals identified as a sign of projected break-ins. The Israeli occupation forces (IOF) on Saturday evening kidnapped two Palestinian students at West Bank checkpoints. A PIC news correspondent said the IOF kidnapped the 24-year-old university student Mohamed Hussein Jamal Yahya from a makeshift checkpoint pitched near Sebastiya town, in northern Nablus. Student Assid Alam Mer’I was also kidnapped by the occupation soldiers at a flying checkpoint set up near Qarawat Bani Hassan town, to the west of Salfit. 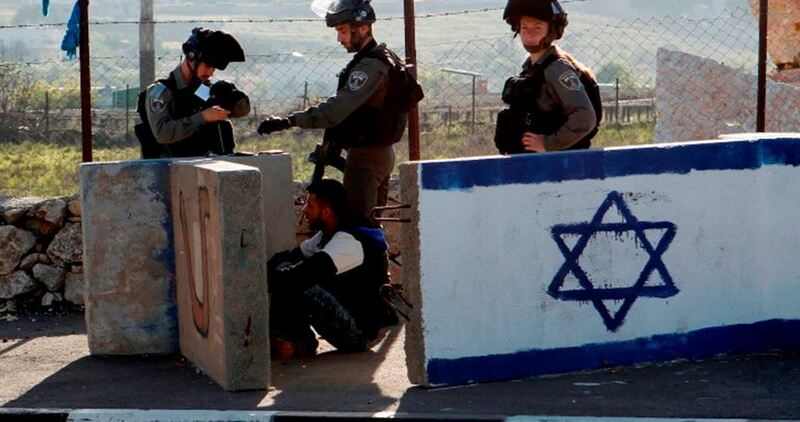 The Israeli occupation forces (IOF) on Saturday evening kidnapped a Palestinian young man at a makeshift checkpoint near Sebastia town, northwest of Nablus in the West Bank. 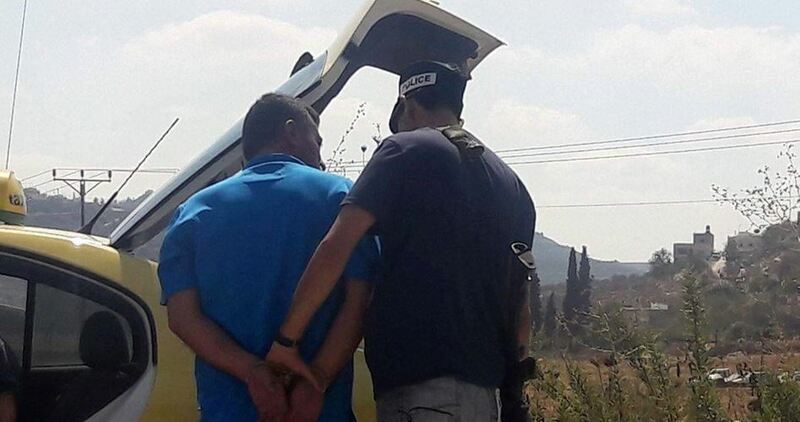 Eyewitnesses reported that Israeli soldiers intercepted and searched passing vehicles at the checkpoint before they ordered a young man to leave a car and then rounded him up. The identity of the young man is still unknown, but he is believed to be from Jenin city. The Israeli army sets up scores of checkpoints every day in different West Bank areas in order to obstruct the movement of citizens and make arrests. 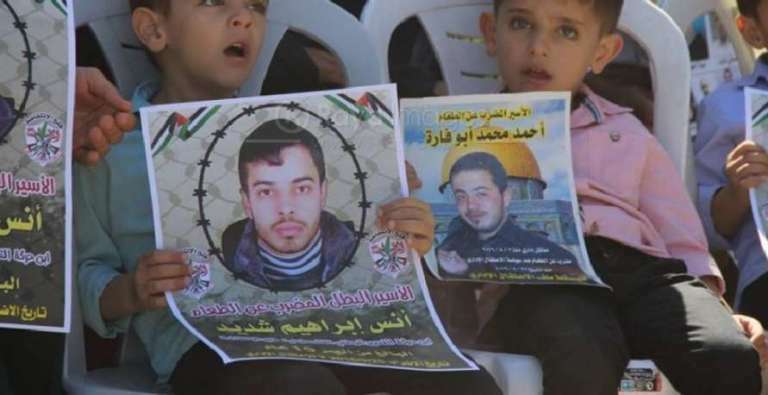 The Palestinian prisoner Yusri Al-Masri, 31, said that he is suffering from a severe weakness in his eyesight, putting him at the risk of losing it at any moment. He blamed Israeli medical negligence over his condition, adding that he did not receive proper treatment for his retinal detachment problems. Masri said in a letter to Mohjat Al-Quds Society on Saturday that he has been suffering for months from a blur and black points in his eyes. This caused him severe pains in his eyes other than the pains he suffers in his backbone and spinal cord with no treatment being provided for him. In his letter, Masri called on human rights institutions and societies concerned with the Palestinian prisoners' affairs to put pressure on the Israeli courts to provide necessary treatment for him. He also asked for a specialist doctor to diagnose his case as he is suffering from regular pains in his liver and intestines as well. Masri, who hails from Deir Al-Balah, in central Gaza Strip, was arrested by the Israeli occupation forces on 9th June 2003 and sentenced to 20 years for being a member of Islamic Jihad Movement. Masri is one of the victims of the deliberate medical neglect policy in the Israeli jails, and his case ranks among the most dangerous. Two Palestinian hunger strikers, Ahmad Abu Fara and Anas Shadid, rejected an Israeli proposal to issue a final four-month administrative detention order against them, and release them in early June of 2017. The two, who have been on hunger strike for 70 days, since 25 September, are currently in a severely critical health condition. Both are held at Assaf Harofeh hospital, and insist on continuing their strike until they achieve their freedom. Their administrative detention orders, in place since 2 August, have been “suspended” due to their health condition; however, if they end their strike and recover, their detention will be reimposed upon them. Ahmad Abu Fara, 29, was seized from his home in the village of Surif near al-Khalil on 2 August, in a violent pre-dawn raid by occupation forces. Previously imprisoned for 2 years, he was ordered to six months in administrative detention without charge or trial. Anas Shadid, 19, was seized on 1 August by occupation forces from his family home in the village of Dura near al-Khalil, and also ordered to six months in administrative detention. Both are imprisoned without charge or trial, two of approximately 700 Palestinians held under Israeli administrative detention. The Israeli police forces arrested at dawn Saturday a Palestinian young man at a military checkpoint erected at the entrance to Shufat refugee camp, north of occupied Jerusalem. The detainee was identified by locals as Murad Sarandesh. Sarandesh was arrested after being stopped and searched while trying to cross the checkpoint, eyewitnesses affirmed. He was handcuffed and taken to unknown detention center for unknown reasons. Israeli forces carry out raid and arrest campaigns throughout the occupied West Bank and Jerusalem almost on daily basis.